I spent several studying art at the college level taking a variety of classes. It was good to learn a wide range of skills from 3D animation to graphic design and the gamut of traditional painting. I found for the most part however that my teachers didn’t encourage me to develop my own style, rather they taught me the classic styles of masters or their own styles. For this reason I can’t say that they influenced me in art. What influenced me more than anything were the cartoons I would watch, anime movies and tv shows like Sailor Moon and Astro Boy as well as mangas like Naruto and Hatsukoi Limited. 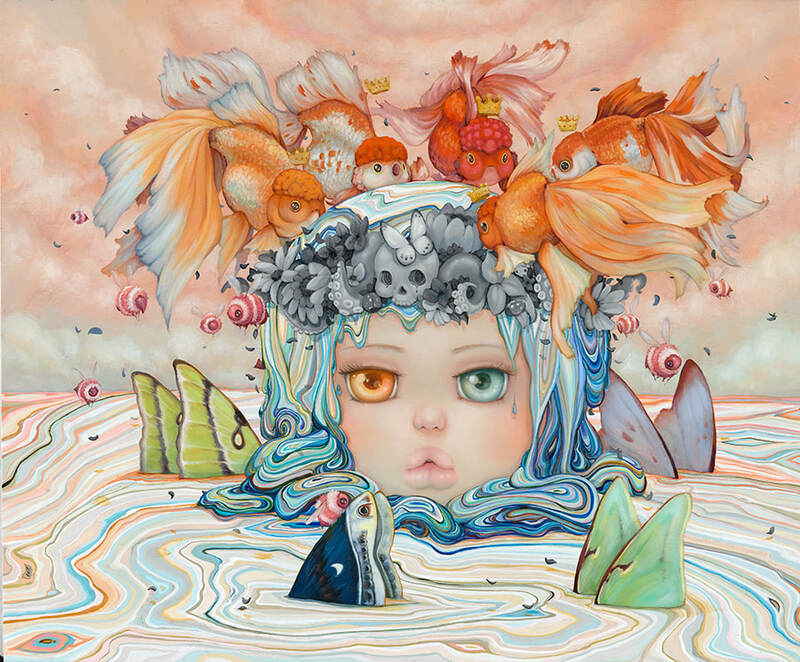 I think its important to note that I love some of the current artists in the pop surrealist movement and would highly recommend people follow the works of Mab Graves, Greg Simkins and James Jean, they are incredible artists. What I found most useful in developing my art was that I experimented with many different media. If I hadn’t branched out and tried water soluble oils I wouldn’t have found my true calling as a painter. I worked with many different brands I have to say that the Holbein DUO series of oils with the duo linseed oil and blending with Golden Liquid glazing medium are the best of the bunch. 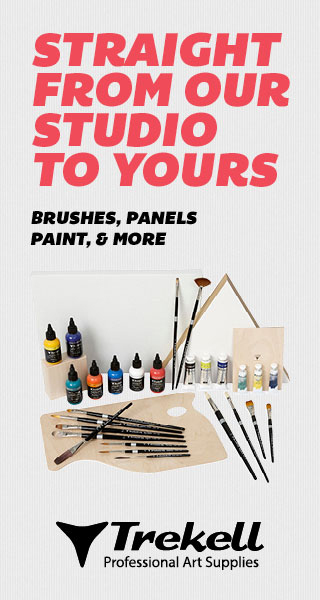 I actually wrote an entire book on how to use these paints called Pop Painting, I go in depth in the book to describe my techniques and the useful tips I’ve learned through trial and error. I also learned that breaking the “rules” of painting really worked for me. And what I mean by that is that I experimented by mixing acrylics with the duo oils and learned that they were mixable. I didn’t let the rules stop me from trying things out and would highly recommend others do the same. 1-Be heartfelt. Art needs to come from the heart and soul of the artist. It doesn’t matter what the style is as long as the art has meaning. There is a reason why there is such artistic diversity in the world. Artists will find any type of media to express themselves. It doesn’t matter if the art you create is a stick figure or a realistic oil painting, art is about expression and not technique. 2- Be original. This might actually be the most important thing actually. I encourage people to research and find art that inspires them but when it comes to creating art it is not okay to copy or to “play off of” another artists works. I’ve seen many copycat artists that use an artist’s work and then change is slightly so that they can then call it their own. That’s just not ok. There is nothing worse in my opinion than someone emulating someone else’s art and passing it off as their own original works. Artists like myself work really hard day and night to create our works of art and express our ideas and souls into the art and it seems so superficial in my opinion when someone copies our art. Artists should be true to themselves and create art that means something them, that comes from the soul and expresses an original idea, otherwise what is the point of that art they’ve created? 3-Be bold. Take risks with your art and create works that come from your heart and soul even if they are different than what you’ve previously created. 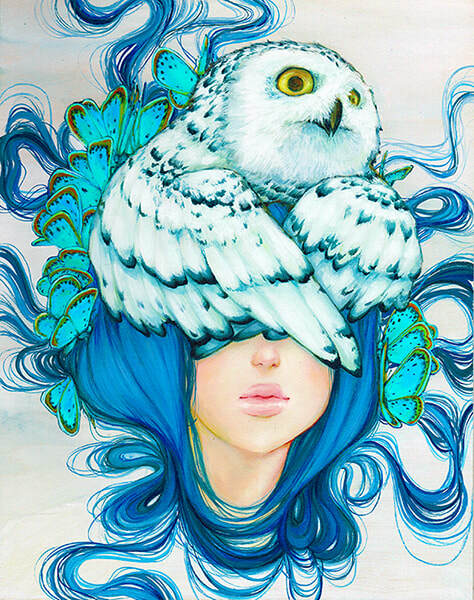 I held back for years only doing paintings that were girls with big eyes and had animals on their heads. I’d pigeon holed myself and essentially edited what I created because I didn’t want to try anything new that might disappoint my fans and collectors. 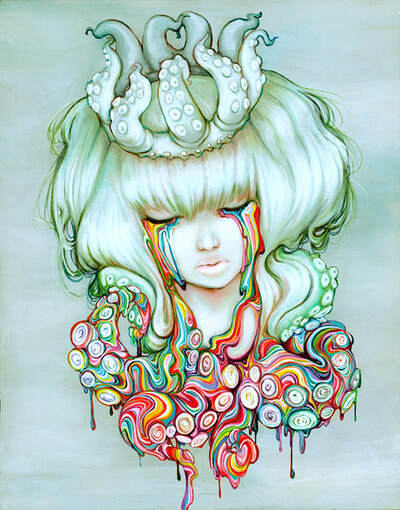 One year I decided to take a risk and paint rainbow girls with no animals and no eyes. From then on I ceased editing my content. My fans loved what I’d created and I felt emboldened. So that is what makes good art in my opinion. When you are making art for yourself and not for others. One of the most common mistakes artists make is to point out the flaws in their work. When showing your work never point out the parts that aren’t working. Artists are the hardest critiques of their own art. We see all the bits that went wrong but the thing is the rest of the world doesn’t need to be privy to them. So show your art and talk about the parts you are most proud of. Another mistake I see artists make is that they don’t connect with their audience on a personal level. Art is mysterious and I’m not saying to tell all, but remember to engage with them in person or respond to comments whenever possible. Those people who show up to your art shows or take the time to comment are your greatest supporters so talk to them. Even if it’s just to say a quick hello. Step one I sketch out my ideas. I try to let my ideas flow out and create a series of rough sketches until I find one that I want to paint. This step can be really fast and the first sketch I do is “the one” and it can also take me 30 sketches before I create an image that says what I want. Step two I begin to draw out my painting on my sanded plywood with a watercolor pencil. Sometimes I’ll project my sketch onto the surface but most often I’ll draw it out. Step 3 I trace my drawing with a mixture of liquid acrylic and water. I make sure to use a light sepia color and use a thin liner brush to outline the drawing before I brush off the colored pencil with a cloth. Step 4 I begin the process of painting using thin layers of my duo oils with water and glazing medium. I build up my layers slowly and most often I’ll start with either the girl’s face or her eyes. Step 5 this is interchangeable with step 4. I like to block in my background before I do any major or detailed work on the main figure. The reason for this is simple. 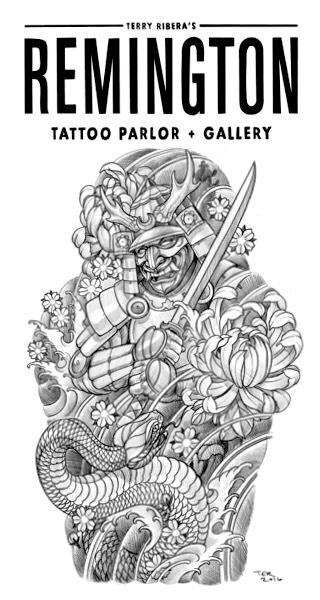 The main content will be painting over top of the background. Step 6 I continue to build my layers up and make sure to have a color palette that will be cohesive throughout the painting. Step 8 I let the painting sit for a few days or weeks to cure before I varnish it. Step 9 I varnish the painting with a UVLS varnish to protect it agains the suns deteriorating rays. Step 10 I send the painting to be scanned and framed. It really important to sign every piece of art you create and document it at a hi resolution. I have a lot of steps and techniques in my books Pop Painting and Pop Manga that go into depth about the different kinds of art I do and the steps I take to create it! Currently I have a lot of peach tones and oranges as well as teals. I’m working on a sunset piece. Teal btw is my favorite color! ​I can’t live without Golden Liquid Glazing medium. I use this to thin out and blend my paints together. It is a much better way to thin out the paints vs water. The glazing medium maintains the integrity of the paint while at the same time keeping the consistency. Its my absolute must have! 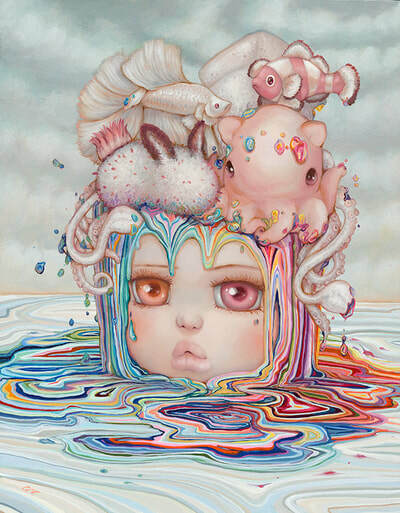 About the Artist: Camilla d'Errico is an Italo-Canadian artist who has been making waves in the fine art and comic industries with her manga-influenced style. Ever the prolific artist, Camilla lives the double life of comic artist, character creator and painter. Camilla resides in Vancouver, BC, where she paints and draws comics, and more recently has been working with entertainment companies on feature films and video games.